Product prices and availability are accurate as of 2019-04-16 17:10:39 EDT and are subject to change. Any price and availability information displayed on http://www.amazon.com/ at the time of purchase will apply to the purchase of this product. 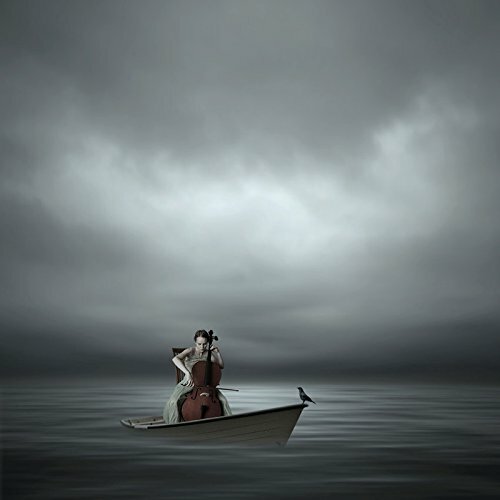 The Cello Player by Philip McKay is a mournful fine art print of a girl in a small boat playing her cello, her audience consisting of a single crow, sitting in rapt attention at the hull. An endless expanse of water stretches out on all sides, and eventually merges with the sky. The desaturated colors add to the sorrowful feel in this photograph. This is a ready-to-hang canvas print with 100 year archival pigmented ink on museum-quality canvas. Actual dimensions may vary slightly from listed dimensions to preserve original proportions.